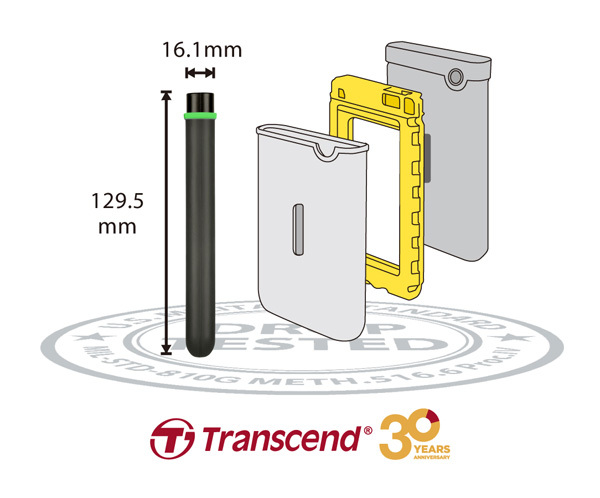 Transcend Information, Inc. (Transcend ), a leading manufacturer of storage and multimedia products, is proud to introduce the StoreJet 25M3G (Military Green) and 25M3S (Iron Grey) as the latest addition to its M3 series Military-Grade Shock Resistance portable hard drives. It features Transcend’s award winning three-stage shock protection enclosure but is 10% lighter and 20% thinner than other previous models in the M3 series. The StoreJet 25M3G and 25M3S comes available capacity of up to 2TB and it adopts USB 3.1 Gen1 interface, offering an incredible transfer rate that is 10 times faster than USB 2.0. Both the StoreJet 25M3G and 25M3S features Transcend’s award winning three-stage shock protection enclosure that includes a silicone rubber case, internal shock-absorbing suspension damper, and reinforced hard casing to provide optimum protection for the hard drive. The three-stage shock protection system has been tested vigorously and it meets the MIL-STD-810G 516.6 U.S military drop-test standards to ensure your important data is fully protected. It also comes in a thinner and lighter package, weighing 45g lighter and 2.7mm thinner than the StoreJet 25M3, while retaining the iconic shock protection design. This allows greater convenience and portability, which makes the StoreJet 25M3G and 25M3S the perfect companion for those who is always on the go. 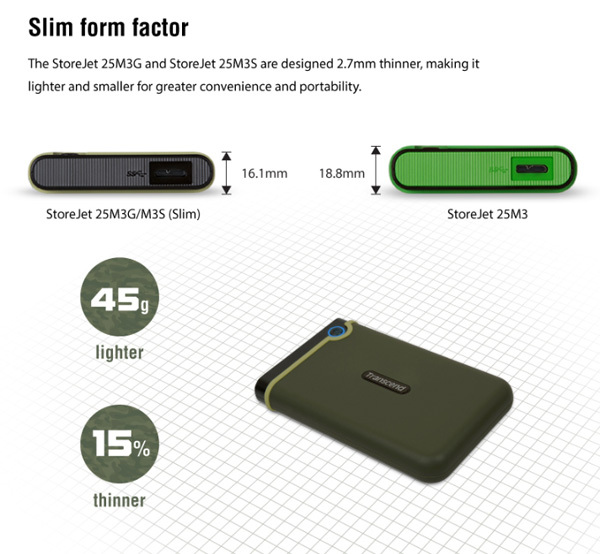 Enjoy peace of mind with high speed and high capacity on-the-go storage solution with StoreJet 25M3G and 25M3S. By adopting the USB 3.1 Gen1 interface, the StoreJet 25M3G and 25M3S is capable of transfer Rate that is 10 times faster than a USB 2.0 interface storage device. With capacity of up to 2TB, the StoreJet 25M3G and 25M3S can store up to 976,000 photos of 2MB each, 488,000 MP3 files of 4 minutes long with 128Kbps quality, or DVD quality video up to 880 hours. The StoreJet 25M3G and 25M3S is equipped with a very convenient multifunctional button which allows you to instantly backup your data with a single press. Unlike most portable hard drive backup solutions out there, the One Touch Backup requires only one first-time setup to work. The button also acts as a reconnect button so that you can reconnect the device to your computer without having to unplug and reinsert it. For additional value, Transcend’s offers its exclusive data management and data recovery software – Transcend Elite and RecoveRx, with no additional cost. Both the software features a user-friendly interface that allows users manage their backup or recover lost data with ease. 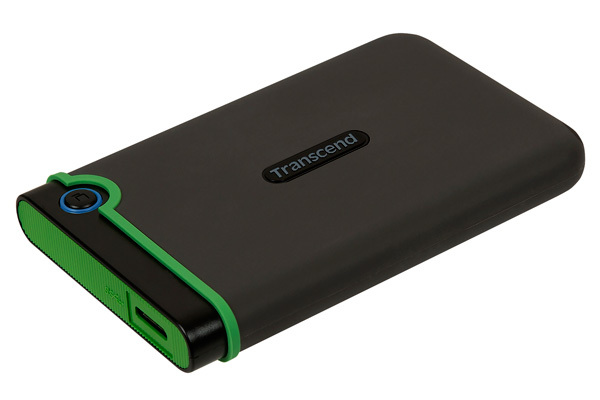 Transcend Elite allows you to perform data backup on local device or cloud storage with minimal hassle. It can even protect your file with a powerful 256-bit AES encryption so that your data are kept safe from any from unauthorized access. RecoveRx allows you to easily recover virtually any type of digital files from your storage devices in the event of accidental erasure or data corruption. Furthermore, RecoveRx supports memory card formatting and data protection functions, providing users a convenient tool for managing any Transcend memory card. The StoreJet 25M3S and 25M3G comes available in capacities of 1TB and 2TB respectively and is backed by Transcend’s 3-Year Limited Warranty.